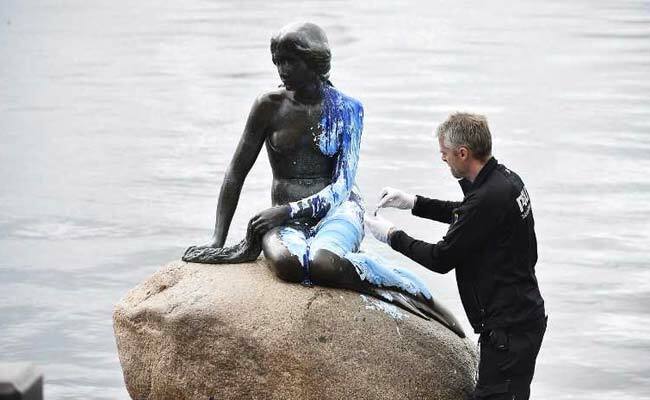 The Little Mermaid statue in Copenhagen was found vandalised last on May 30 by activists outraged over whaling. Now, this is the second incident in less than two weeks. Stockholm: The Little Mermaid statue in Copenhagen, the city's most famous monument, was on Wednesday vandalised for the second time in just over two weeks, police said.